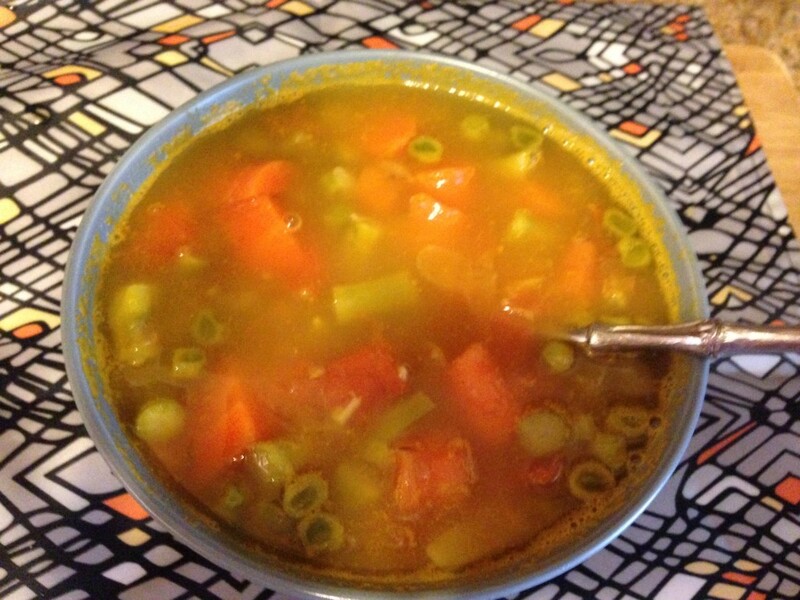 Today’s recipe is from resident soup expert Serena, aka Seriously Soupy. 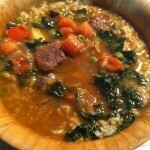 Serena is known for her soup tours, she has taught soup classes and has a catalogue of over 100 homemade soups. You can join Serena on her Soupy journey here once a month where she’ll share her wisdom and helping demystify the world of soup. 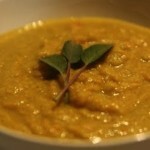 Summer is a terrific time to experiment with light and health soups. While smoothies and salads are generally the typical lighter summer fare, soups are also an easy way to get a dose of nutrients while enjoy a hearty and delicious meal. 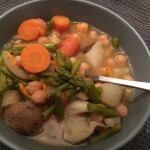 This week I used some basic ingredients that I had at home including asparagus, onions, garlic, parsley, carrots, tomatoes, and frozen peas to create a soup that was bursting with flavor. 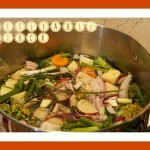 Another bonus to this soup is that it’s easy to prepare and ready in 60 mins or less. 1 tablespoon of dried parsley or a bunch of fresh, cut up. Cut up the onion, garlic, asparagus, tomato, and carrots. Add in the parsley and salt and pepper and let cook on a medium flame for 45 minutes-60 minutes, checking and stirring the soup periodically. Garnish with fresh parsley.